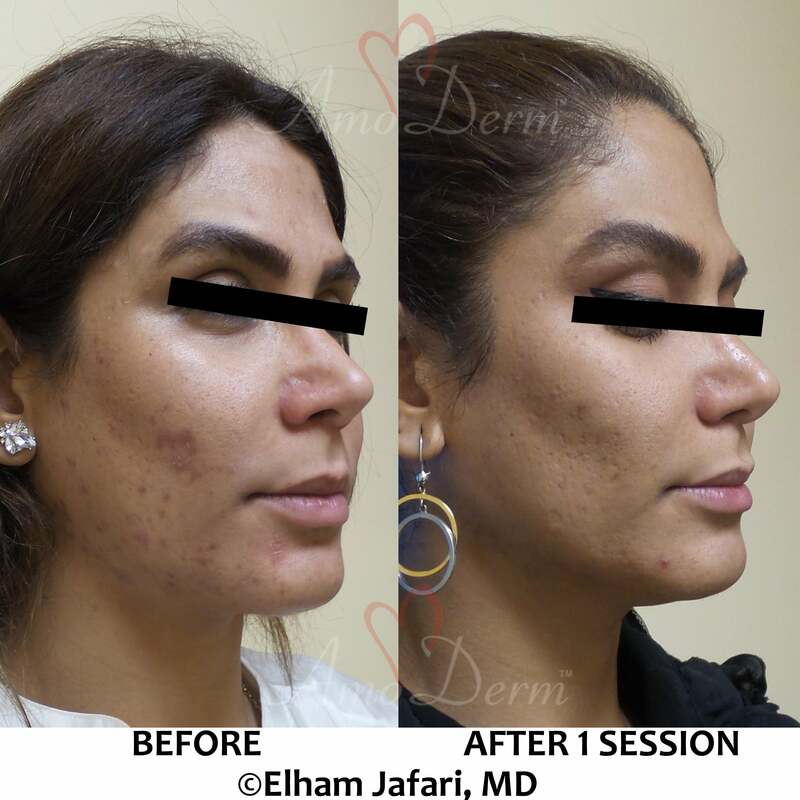 Micro Laser (MicroLaser) Peel or Laser Skin Resurfacing is an effective medical treatment to rejuvenate the skin and to treat and ameliorate several common skin problems such as active acne, acne scar, stretch marks, skin pigmentation and discolorations, skin sun damage, scars, and wrinkles. 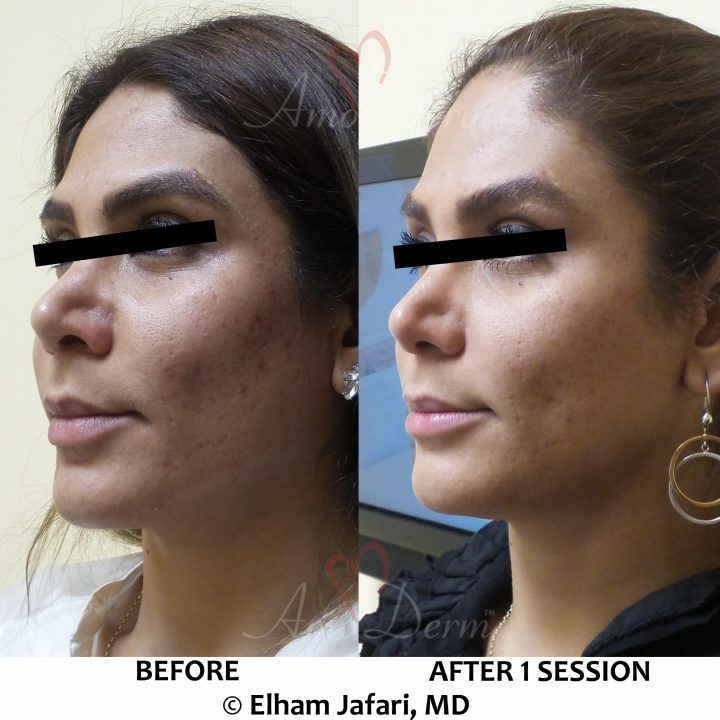 Skillfully applied by your physician, Micro Laser Peel with Erbium YAG laser removes superficial dead layers of skin and with those layers it also removes irregularities of skin such as lines, wrinkles and areas of pigmentation and photodamage. 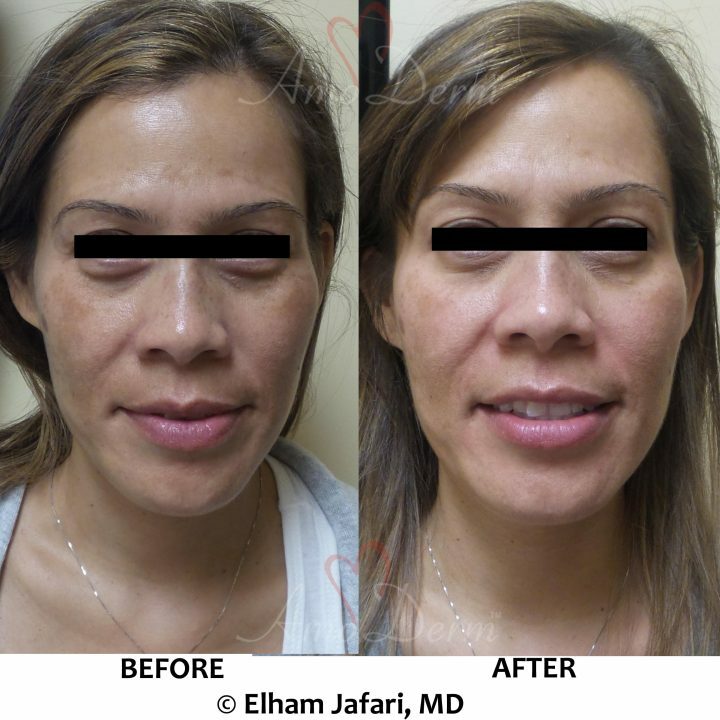 Using the power of ablative Erbium YAG laser beam in a controlled manner, Laser Skin Resurfacing offers a deep and effective peel. Additionally, upon reaching the skin, the laser beam is transformed into heat energy and creates several microscopic superficial channels in the skin as it penetrates into the lower layers of skin including the dermis. These therapeutic heat and microchannels stimulate the healing process in the skin, mobilizing fibroblasts to make new collagen and other components of healthy skin to repair and restore the aged and damaged skin back to its smooth, healthy and youthful beauty. 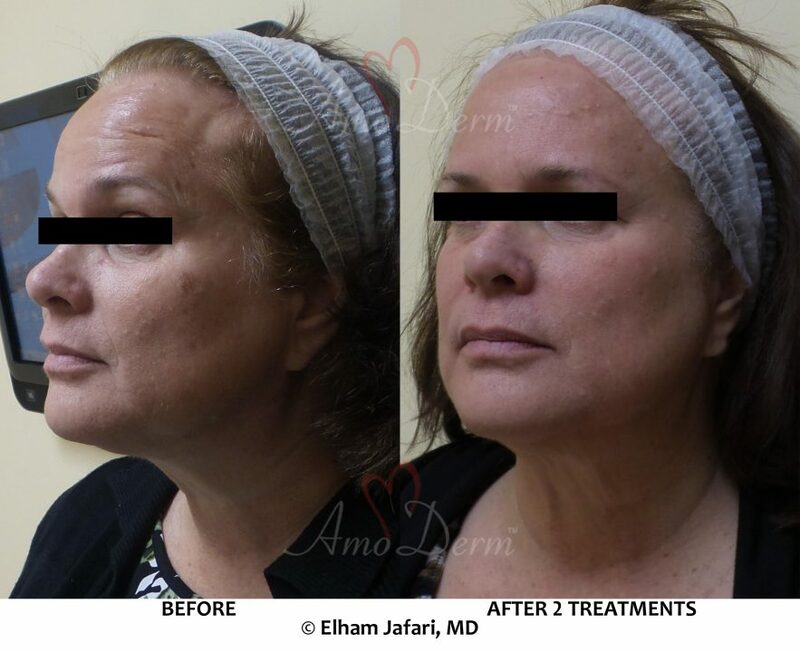 At Amoderm, Laser Skin Resurfacing is provided exclusively by a licensed physician after complimentary consultation to make sure this treatment is medically fit and indicated for you. 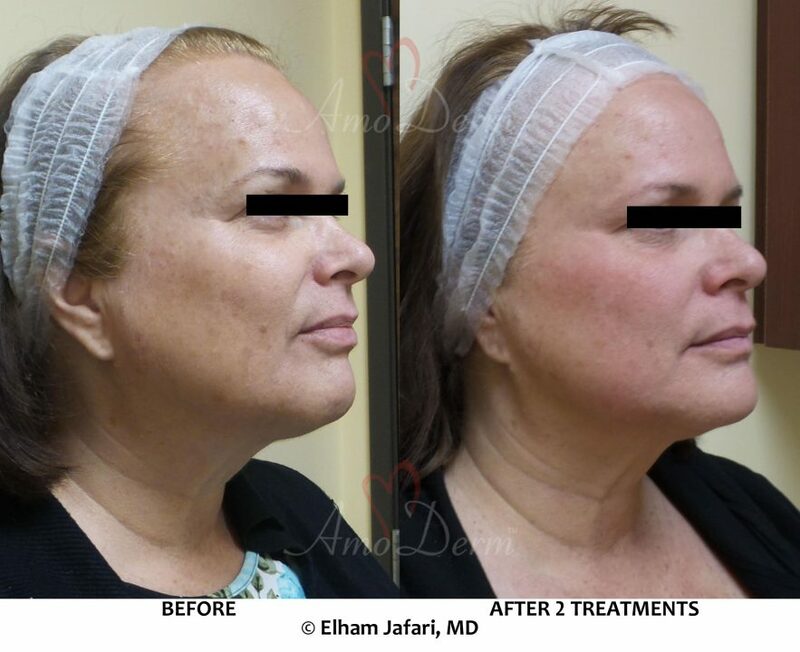 Laser Skin Resurfacing can be done on various parts of the face and body. Visit our Stretch Mark Removal page to learn more on how to treat those pesky marks using Laser Skin Resurfacing! Depending on the skin conditions and desired results, we offer specifically-designed and formulated prep creams to some patients that they apply in the weeks prior to the treatment. During the procedure, your doctor first applies topical creams to numb the areas to be treated for maximal comfort. 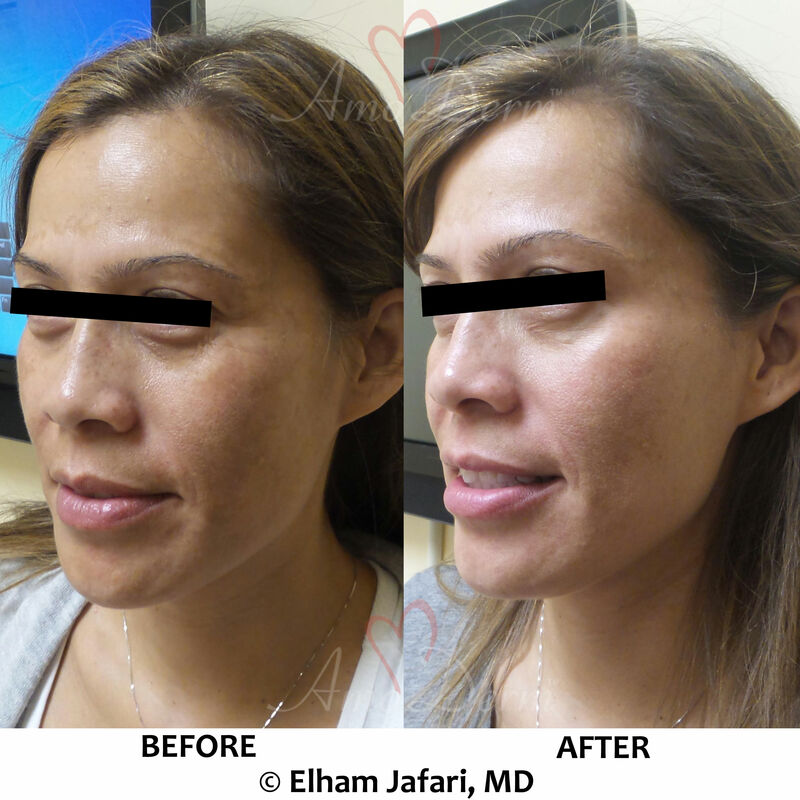 After the MicroLaser Peel procedure, the treated skin may look swollen, irritated and red. Most of the irritation will typically be gone soon after the treatment, but the redness may last longer. It can nonetheless usually be masked and concealed by makeup. To conceal the pink tone of the treated area during the recovery, specialists usually recommends to use a green-base make up. After the treatment, the skin is usually as sensitive as a mild sun burn, so it is highly recommended to use sunscreen for the protection of the treated area during the healing process. Another important step during the healing process is to keep the skin clean and moist with topical cream or ointment supplied or recommended by your doctor. Generally, the recovery period should complete within a few days to 1-2 weeks. Day 1- Skin will be pink and have a sensation similar to a light sunburn. You can resume normal activities immediately following treatment. Day 2- Make-up can be applied to cover any residual redness and skin will begin to peel. Days 3 & 4- Skin exfoliation continues as new cells replace dry, dead ones. Day 5- You should see noticeable improvements in skin texture and tightness. The skin will appear younger, healthier and more vibrant. 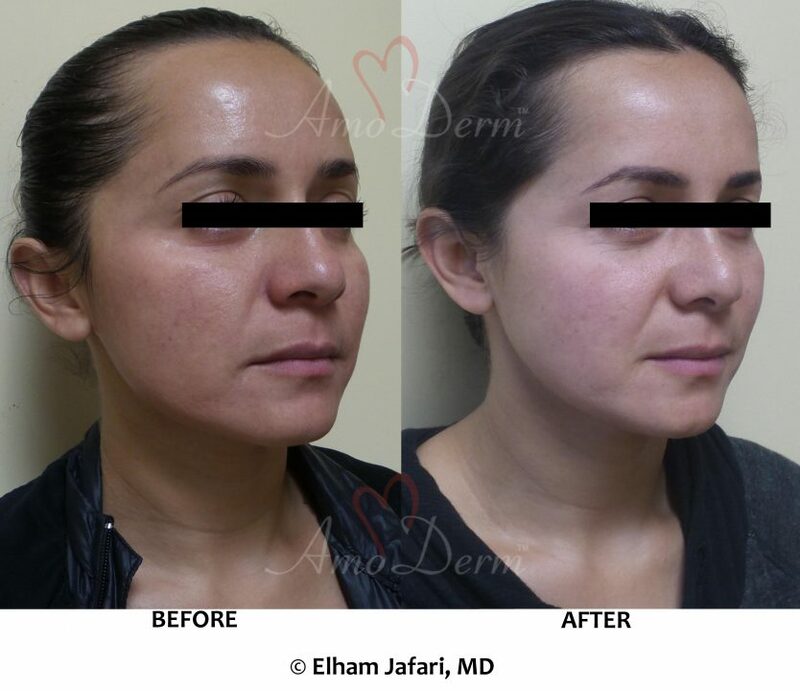 Laser Skin Resurfacing is an effective and convenient treatment that can create impressive results. 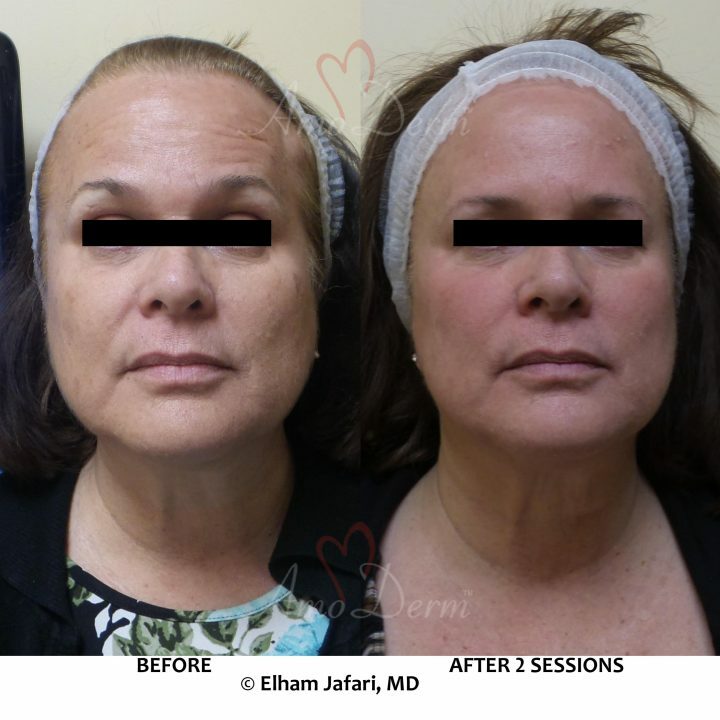 Not only is the cost and the down-time of the treatment minimal, but it also saves many people from going under the knife (plastic surgery) to get the desired results. Call us today at (949)266-7346 to schedule your free consultation for Laser Skin Resurfacing or Micro Laser Peel with Erbium YAG laser.